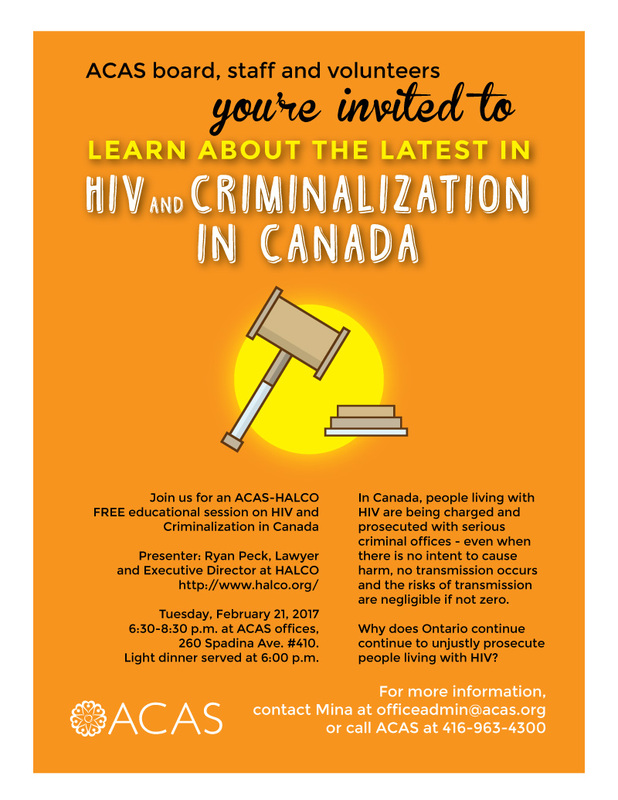 Tuesday, February 21, 20176:30-8:30 p.m. at ACAS offices, 260 Spadina Ave. #410. Light dinner served at 6:00 p.m. In Canada, people living with HIV are being charged and prosecuted with serious criminal offices – even when there is no intent to cause harm, no transmission occurs and the risks of transmission are negligible if not zero. Why does Ontario continue continue to unjustly prosecute people living with HIV?